What is email engagement rate? Well, you might have stumbled upon the term “email engagement” while you were reading blogs about email marketing metrics. Email engagement rate is well-known among email marketers. And it’s rightly so. This metric determines inbox placement. How does it affect inbox placement? If few recipients engage with your newsletter, your email lands in the SPAM folder. Conversely, if most of your recipients are engaged in your email, it gets delivered to the main inbox, that is you have a high inbox placement. How does it relate to cold email? Yet, cold emailing and email marketing differ profoundly. Should we be worried about email engagement rate? Unfortunately, a low engagement rate can spoil our deliverability. You see, although Woodpecker uses your own SMTP to send emails, you are sending more and more emails. To complicate things even further, you are getting more and more emails. Plus, SPAM messages are still a thing. In order to provide top-notch service for their customers, email providers need to show the recipients only the kind of messages that those recipients enjoy reading. That’s why Gmail, for example, introduced some new features to measure engagement. That is crucial for cold emailing, because email engagement rate measures any sort of interaction a recipient has with your email. Therefore, how much time prospects spend on reading your email matters to email deliverability. If they delete the email immediately after opening, it lowers your email engagement rate. If your prospects keep the email opened, that’s a good sign that you’re not a spammer. Similarly, let’s say some addressees forwarded the message to their colleagues. What happens then? The engagement rate increases. So it does when the addressees replied to your email. All in all, email engagement rate gets affected every time a prospect interacts with your message. Problems start when the prospects in your campaign ignore your email. It messes up with our email deliverability and can get you in trouble. How to fix a low email engagement rate? So you’ve noticed that something is wrong with your cold email campaign. Your email open rate cries for help, not least your reply rate is nigh on zero. You suspect that your email client detected that your engagement rate dropped, and now you’re experiencing deliverability issues. But how to fix that? The process of fixing a low engagement rate isn’t any different than the warming-up process. Compile a list of trusted email addresses; for example, email addresses of your co-workers (if they’re on a different domain than the one of your outreach domain), or email addresses of your family members, friends. The more varied the list, the better. Send them a message but avoid using any templates. It’s best to send everyone a different email copy. Write something that seems like a real email conversation, nothing scripted. At the end of the message, ask them to reply. When they reply, respond back. Repeat the cycle for a while. Trust me, it’s necessary. You show the filters that you’re a genuine email sender. After a couple of successful email exchanges, move on to automating email sequence at Woodpecker. But don’t do anything huge yet. Prepare a small campaign aimed at 10-20 prospects. If you’re not sure whether they reply or not. You can start from some warmer cold email. As you know, cold email tool isn’t only for sending cold emails. Take care of the subject line. Use personalization snippets. Make sure the HTML code of the email is clean. If you’re copying text from a text editor, first paste it to Notes on your computer before putting it to Woodpecker. Set up large sending windows. Once you lead some interesting conversations, create larger cold email campaigns. But go heavy on personalization. You can use an opt-out link or sentence. Ironically, that’s a positive engagement too. Overall, the most important thing in all of this is proving that the recipients want to read your emails. They are curious enough to open it, spend some time reading it, and if you get your targeting well, they reply. 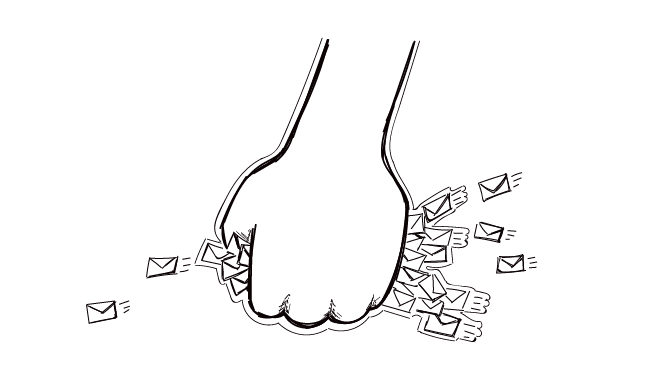 How to avoid a low email engagement rate? Email engagement rate drops when recipients ignore our email. There’s something you can do to shun away from a low engagement rate. It’s not difficult. I think if you’re reading our blog for a while, you’re much familiar with what I have to say here. What’s my advice? Work on your targeting – send cold emails to people who can benefit from your business relation; they will value your email and what follows, they will find it engaging. More about it. Put a signature in the copy – people assess your credibility through the signature you put in your email; make sure it has your name, job title, photo and company link. More about it. Add value in each email – your message isn’t supposed to be about you and your business, it should help the addressee. Provide value in each line of your email. More about it. Don’t send too many emails – you might be tempted to upload as big .csv file as you can into Woodpecker, but stop and think about it. Will everyone be equally engaged? More about it. Limit your follow-ups to 2-3 – follow-ups are a must. But if you send too many, it will seem pushy. Limit the number of follow-ups to 2-3; we found it’s enough to get a reply. More about it. Edit the “From:” line – with that, the addressee gets an idea who sent the email and what they can expect from it. Learn how to leverage that to your advantage. More about it. Craft a compelling subject line – it’s like a key to your prospect’s heart; make a compelling one, and your addressee won’t resist clicking on it. More about it. Give a way to opt out – if a prospect doesn’t know what to do with the message, they could mark your email as SPAM. You don’t want that. More about it. Cold email sending is getting more nuanced day by day. It seems you cannot be successful with it if you don’t master the tricky part of email deliverability. Even if you tackle the technical side of email sending, with poor targeting and scarce email personalization, you can still get into trouble. What do you think about email engagement rate? Have you ever get into trouble because of low engagement? Share your thoughts in the comment section below.